When historians ultimately look back at the history of superhero movies and films based on comic book characters, no doubt 2016 will be considered a pivotal year. While Superman (1978), Batman (1989), Iron Man and The Dark Knight (2008) and The Avengers (2012) all marked important turning points in bringing a variety of iconic characters from the page to the screen, this year showed us how much fun, and enormously successful, a hard R-rated, wise-cracking antihero could be, finally gave us DC’s answer to Marvel’s Extended Universe, packed a film with as many characters as possible and then pitted them against each other, and now, embraced the villains who would normally take on all those heroes from the other films, and made them the main protagonists. 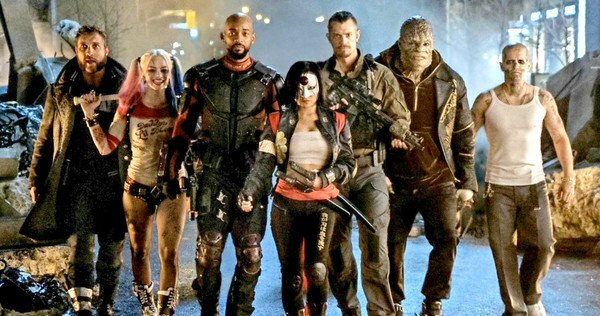 Though Watchmen (2009) showed us a collection of flawed heroes, and Guardians of the Galaxy (2014) featured reluctant ones, Suicide Squad is the first to fully embrace the bad guys, the ones who have been locked up due to their criminal activity and nefarious behavior. 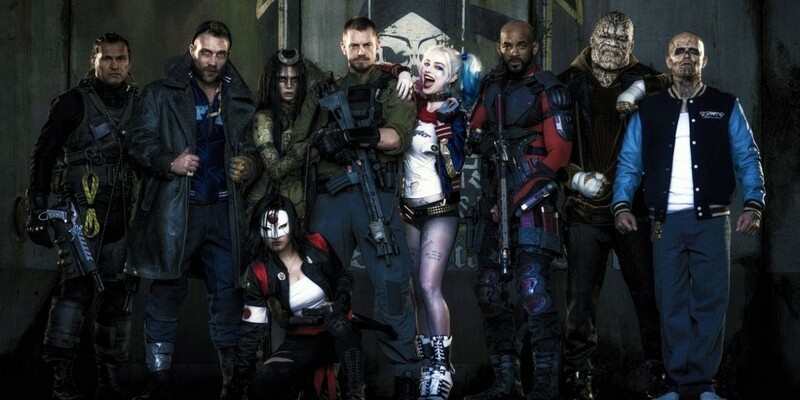 Suicide Squad picks up after the events in Batman v Superman: Dawn of Justice and further continues DC’s Extended Universe by not only featuring appearances by the latter film’s Batman (Ben Affleck) and others, but by adding a slew of supervillains who will no doubt show up, in one way or another, in future films. Basically, a government agency, worried about possible threats by otherworldly or inhuman beings, after what went down in BvS, assembles a task force of ‘the worst of the worst’ to combat any future menace. This agency is headed by Amanda Waller (Viola Davis), and she sends Colonel Rick Flag (Joel Kinnaman) to oversee this rag-tag group of ne’er-do-wells by telling him the assignment is “need to know and all you need to know is you work for me.” The prison residents picked for this do or die mission include Deadshot (Will Smith), a deadly assassin, Diablo (Jay Hernandez, Hostel)), a reformed pyrokinetic, Killer Croc (Adewale Akinnuoye-Agbaje, The Wire, Lost), a monstrous creature who eats people, Boomerang (Jai Courtney, Terminator: Genisys), a thief sporting the Aussie weapon of choice, and Slipknot (Adam Beach), who excels at climbing, and killing. On loan from Arkham Asylum is the lethal lovely, Harley Quinn (Margot Robbie), a former psychiatrist-turned-psycho thanks to a romance with the Joker (Jared Leto). Also assisting the group is Katana (Karen Fukuhara), who wields a sword that traps the souls of its victims-yikes, along with Flag’s right-hand man, Lt. Edwards (Scott Eastwood, Clint’s look-alike son). Finally, working both sides, is Dr. June Moore (Cara Delevingne) a possessed archaeologist, and girlfriend of Flag, who manifests her other self as Enchantress, an ancient sorceress. When Enchantress enlists her equally powerful and evil brother in an attempt to wipe out all of humanity, only the Suicide Squad can possibly come together and defeat this supernatural threat, in exchange for reduced prison sentences. 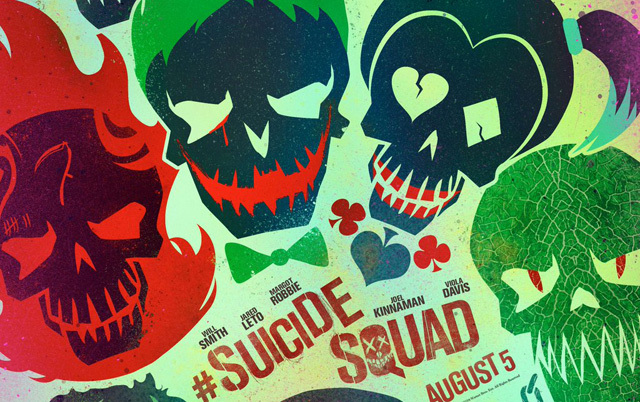 Suicide Squad, though its own unique entity, has clearly been influenced by certain films which came before it. Naturally, since it extends the DC Universe, Batman v Superman, and what that film laid down, impacts this film. Now, it’s no secret that some reshoots took place to lighten the mood of Suicide Squad, which, apparently, overall, didn’t have the sense of fun and humor so prevalent in the hugely successful advance trailer, cut to Queen’s Bohemian Rhapsody, and which was largely missing from BvS. The immense success of Guardians, which also featured a disparate group of unique individuals with specific skillsets, also must have had some influence as well. Since Sony abandoned its attempt at a film featuring the villains, with its Spider-Man spinoff, the Sinister Six, Suicide Squad is the first comic book movie to use the bad guys to take on even badder guys. It’s the not-so-Magnificent Seven (which is seeing its own remake next month). While the major villain and threat in Suicide Squad is perhaps a bit underwhelming, Cara Delevigne does give her Enchantress a dark sexiness with her jerky movements, and the special effects that accompany her transformations are super cool to say the least. The film can seem somewhat disjointed at times, but, overall, Suicide Squad is a whole lot of fun, and that comes down to the terrific cast. It’s been awhile since Will Smith has had a chance to shine as Will Smith, showing the immense charm and personality which made him such a huge star since Bad Boys and Independence Day. Stifling what made him so appealing by making him an emotionless near-robot is what doomed After Earth. But here, Will is able to shine once again. And though he is a killer-for-hire – not a good guy – he has a heart, which is on display with the love he has for his daughter, but also in the affection he shows toward Harley Quinn. 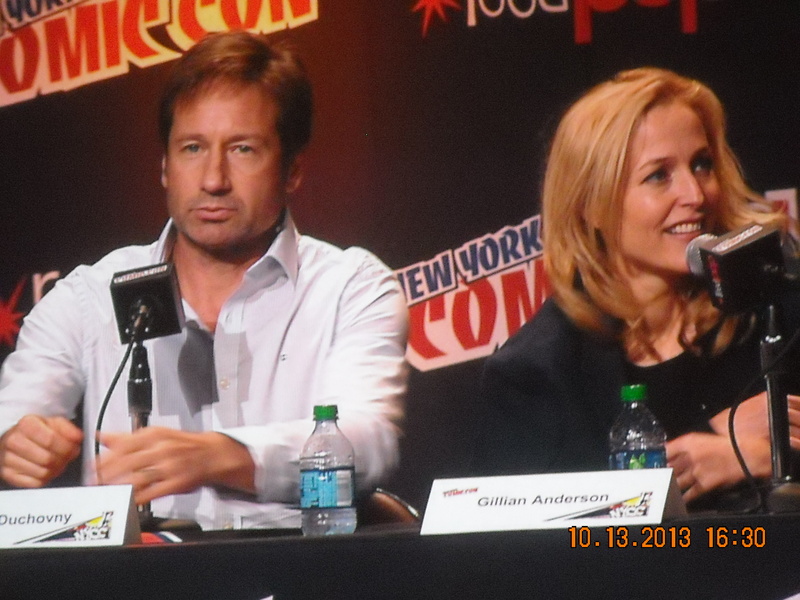 Their chemistry, which we previously saw in the grifter dramedy, Focus, is on display once again here. This relationship adds a depth to their characters, bringing out aspects we might not have seen otherwise, and helps to keep them more multi-dimensional. Harley Quinn and Margot Robbie. If ever there was a match made in heaven, or maybe hell, this is it. Anyone who saw any of the trailers or TV spots could see that this would be a career-defining role, much like Heath Ledger’s Joker. 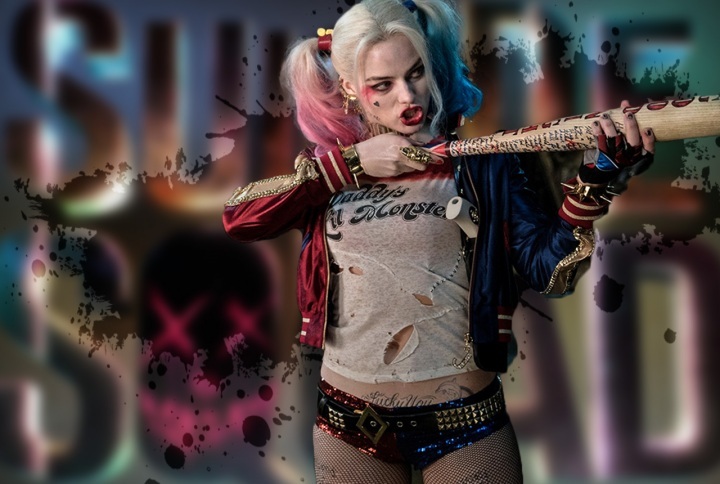 With her pale-painted face, multi-colored hair, ultra-short shorts and skimpy outfit, along with a variety of weapons (her lethal lumber along with Negan’s barb-wire bat on Walking Dead is making the Louisville Slugger the new weapon of choice), Harley may be the least talented of the group – she has no otherworldly powers or extreme skillset – yet she may be the most capable, using her wile, wit and weapons, to get what she wants. What began as a cartoon character (in Batman: the Animated Series, in 1992, created by Paul Dini and Bruce Timm), as opposed to emanating from the pages of a comic book, Harley Quinn, as personified by Robbie, is every teen boy’s (and older) dream, and every girl’s imagined alter-ego. At one point, pure devilish, the next, sympathetic and understanding, we not only get to see Quinn in her current persona, but also before she became entranced, for better or worse, OK, most definitely worse, by the Joker. The one wild card in all the proceedings is that of the Joker. Is there any role in Hollywood that brings out the best actors, or the best in actors, than that of the Joker? One of our greatest, Jack Nicholson, a 3-time Academy Award winner, took on the role with relish in Tim Burton’s Batman in 1989. Heath Ledger, who was initially questioned when cast, won an Oscar, sadly, after his death, for portraying the legendary villain in Christopher Nolan’s The Dark Knight in 2008. 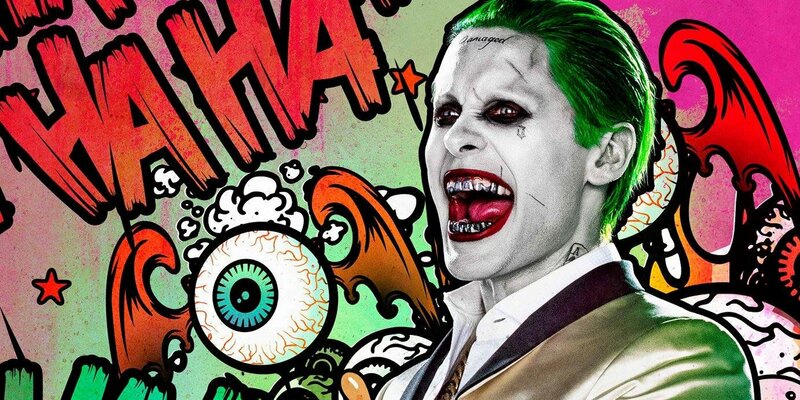 And now, Oscar-winning actor, Jared Leto, with his silver-toothed gape, white face and green hair, becomes Batman’s biggest nemesis. His scenes mostly amount to his and Harley Quinn’s backstory, and, apparently, a lot of that was left on the cutting room floor. Like Batman v Superman, we will almost assuredly, eventually, get a longer director’s cut with Leto’s scenes more fully intact. In the meantime, Leto, though not eclipsing the depictions before him, makes the Joker all his own. It will be interesting to see what more he can do with the role when he’s given more to do with the role. Leto, too, has a great chemistry with Robbie, as her Harley keeps him in check, if that is even possible, or rather, adds other facets to his character. A stand alone movie featuring these two would certainly be a unique venture. While everyone has their moments to varying degrees, Jay Hernandez as Diablo burns the brightest, with a compelling backstory and the chance for redemption. And despite the croc-full of make-up, AA-A manages to give his character some, well, character. It wasn’t an easy task bringing this group of villains to the screen, while keeping it in line with DC’s Extended Universe, but writer/director David Ayers, who had never helmed a film of this ilk before, does a more than credible job. Writing movies like Training Day and The Fast and the Furious, and directing End of Watch and Fury, showed he could handle grittier fare, as well as work with big-time stars, and that’s evident here. 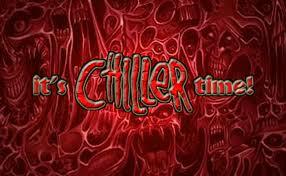 Woman once again are given strong roles to work with, as every featured actress is one not to be messed with. The use of classic rock tunes, from AC/DC, when Boomerang does his thing, to Black Sabbath to Queen (although an Eminem song is unfortunately thrown in at one point) are welcome additions to the movie. The F/X are top notch throughout. The use of the term, ‘metahuman,’ first introduced on screen in the CW’s The Flash, shows up again here after being mentioned in the previous BvS, and we can look forward to next year’s Wonder Woman stand-alone film, and Justice League Part One. 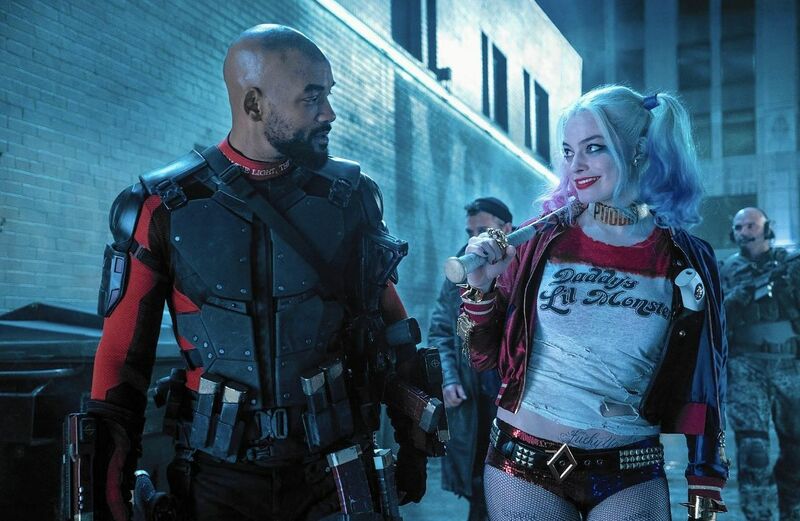 While Marvel still has the lead when it comes to superhero films, DC is making strides of its own, and Suicide Squad may be its biggest leap yet.